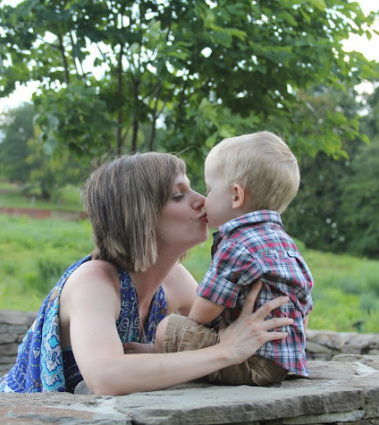 The basic concepts of Attachment Parenting are easy to follow in varying levels of intensity. Some people like to go "all-in" and let their child tell them when it's time for space, where as I drew the line when it "felt" like it was time. Co-Sleeping - What most people don't know about co-sleeping is that it does NOT mean sharing a bed. It simply means sleeping close to each other, such as in the same room. Co-bedding or Bed-Sharing is when you sleep in the same bed. Until Lucas was 4-months-old, he slept in a bassinet next to my side of the bed. It was wonderful for middle-of-the-night feedings, and allowed me to keep a watchful eye on him (the media makes you so fearful of SIDS these days!). Lucas had a crib in his room directly adjacent to ours, which we began to use once we lent the bassinet to my sister-in-law for her newborn.